One of the most successful cruisers in the campaign, the H.M.S. Waterwitch was a British naval vessel that pursued slavers in the Atlantic and Indian oceans. 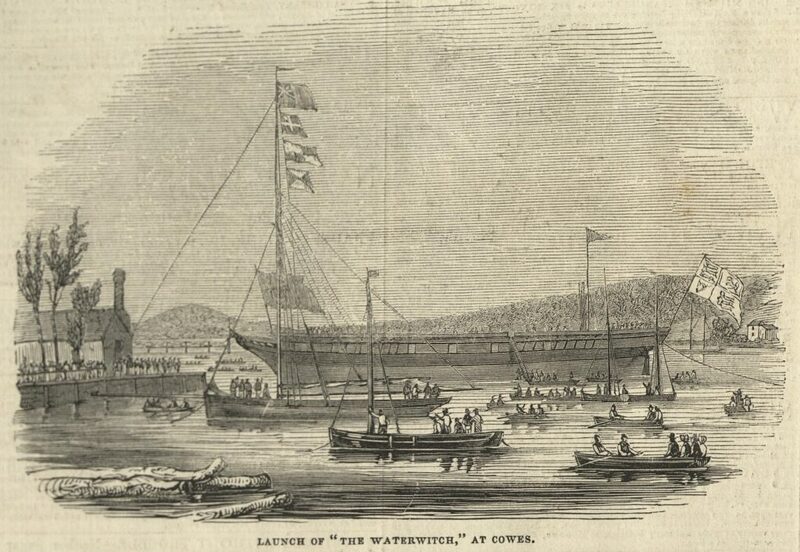 The following image shows the launch of the Waterwitch during the peak period of the suppression. The Illustrated London News, 22 June 1844. Courtesy of University of Missouri Libraries.